Showing off how Pinterest.com has inspired your crafts, cooking, home decor, and more! It's your chance to shine! 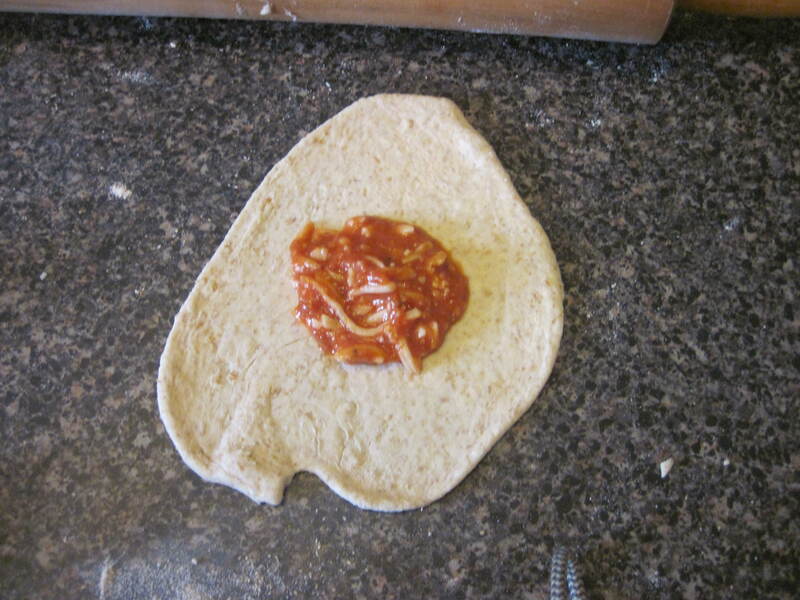 Every few weeks, I make homemade pizzas (well, not completely homemade; I use pre made pizza dough, and normally, I use Trader Joe’s pizza sauce, but its still as close to homemade as it’s going to get around here). 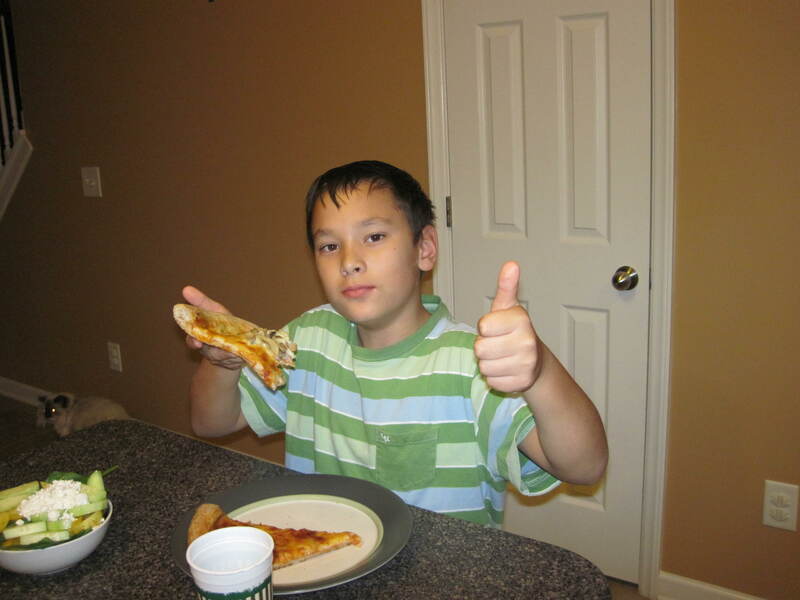 I feel good about it, because it reminds me of making pizzas with my parents when I was a kid, and my kids love it because they get to eat pizza. But this weekend, I changed it up a bit. 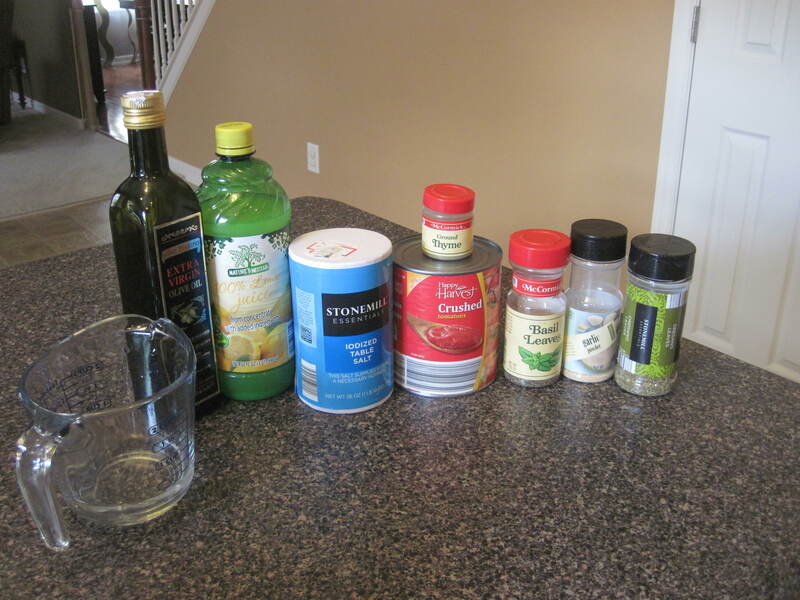 I decided to make pizza balls, from my favorite kid friendly healthy food website, Weelicious, using knock off Papa John’s pizza sauce, from this recipe. 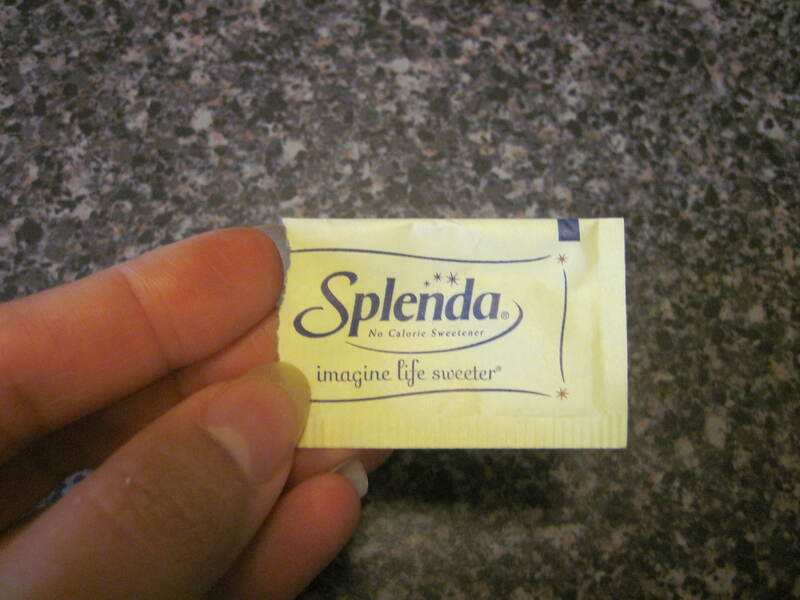 Or, splenda, if you are so inclined. Combine the ingredients in a saucepan and bring to a boil. Then reduce heat and simmer for 15-20 minutes. Stir it every few minutes so that it doesn’t stick to the sides of you pan. 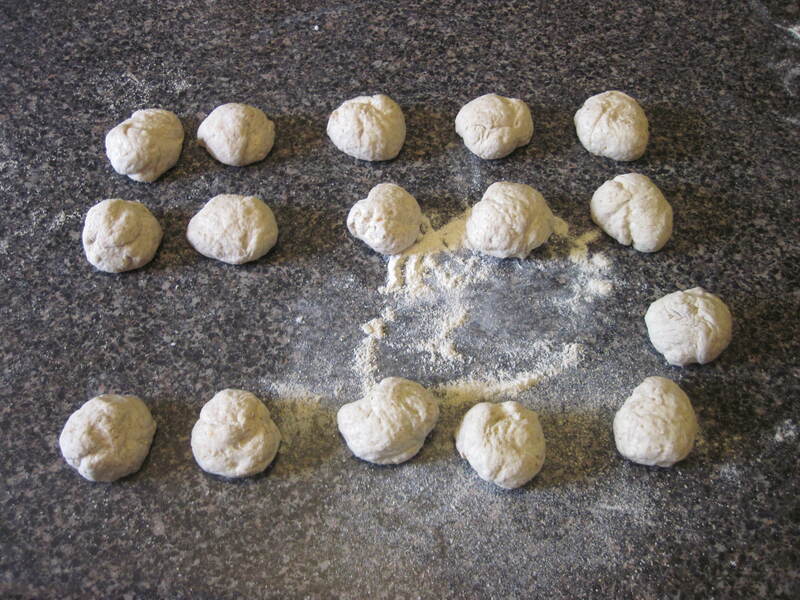 After that was taken care of, I got busy on the pizza balls (click for a link to the recipe). 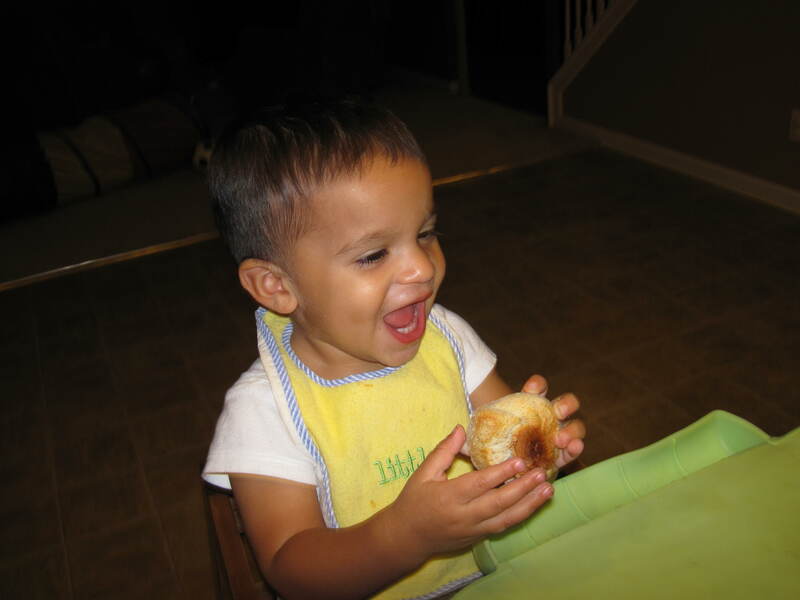 Weelicious is such a great sight, chock full of meal and snack ideas that, at least in my family, have been real kid pleasers, so I was pretty amped up about giving pizza balls a shot. The concept is simple. 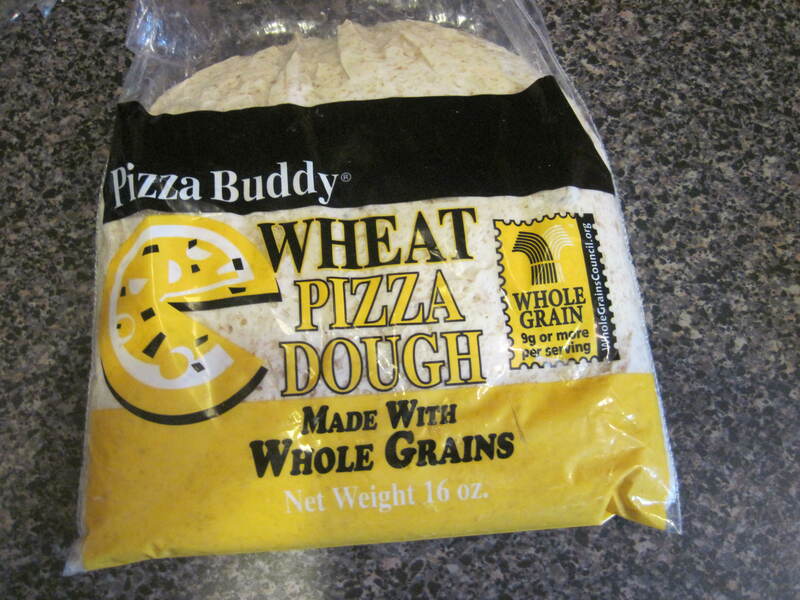 You start with a 16 oz package of pizza dough at room temperature (I used whole wheat). 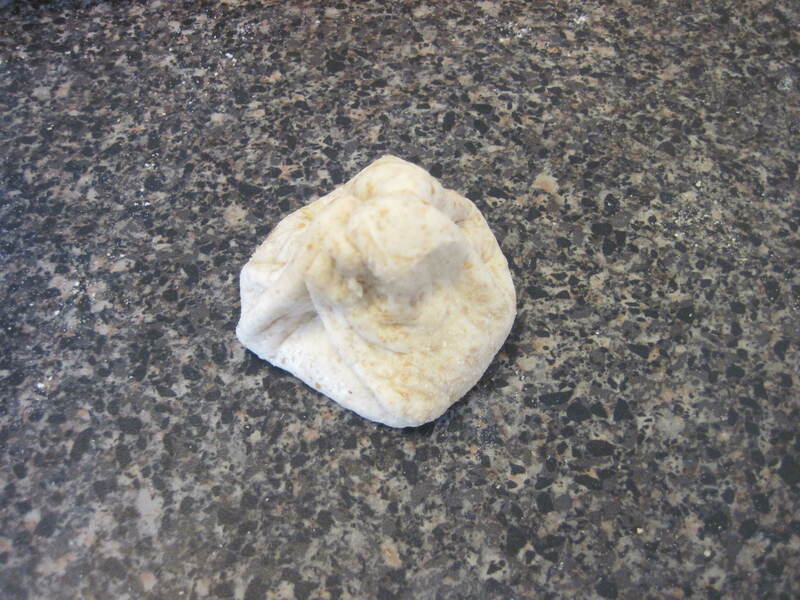 Break your dough up into 16 equal-ish chunks. 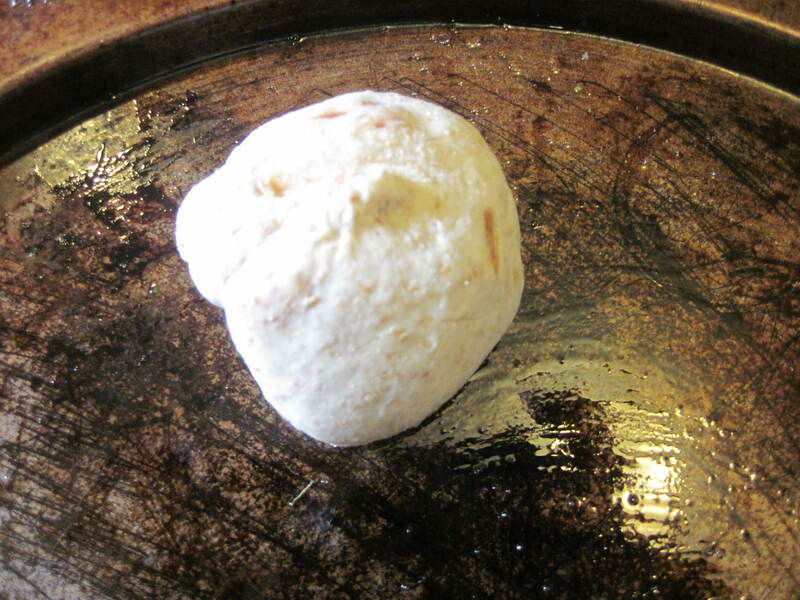 Roll each dough chunk into about a 3 inch wide circle, and place 1 tablespoon of your cheese mixture in the center. 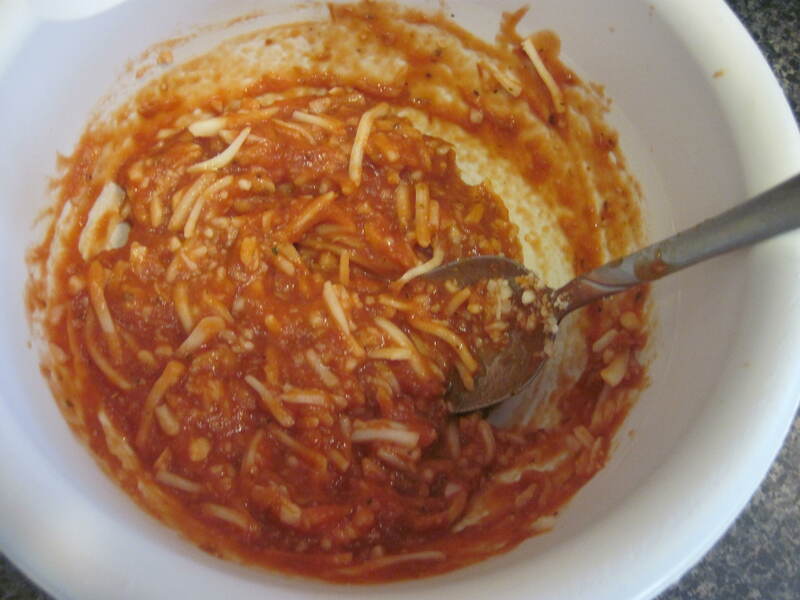 Then take your edges and bring them to the center, covering the cheese mixture, and pinching them closed to seal everything in. At this point, you’re ready to roll those babies into little balls. Or, pseudo balls. Mine were kind of lopsided. 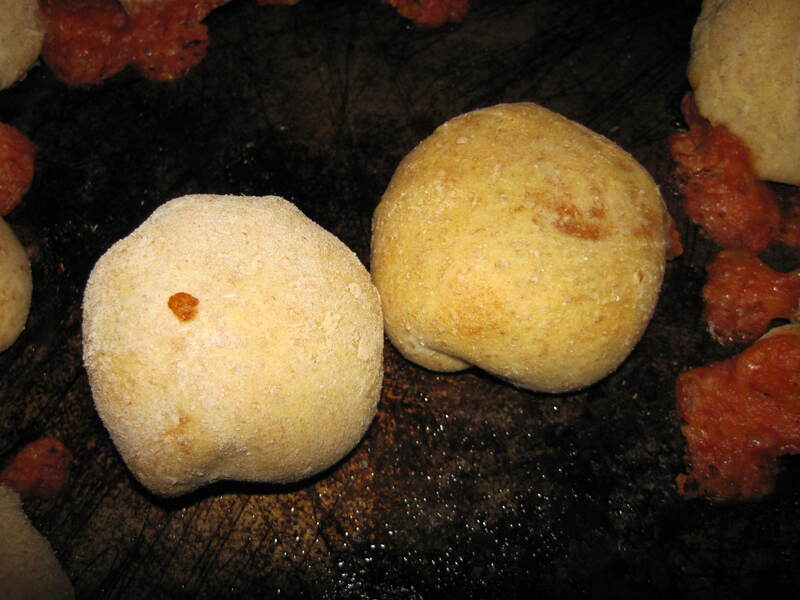 Place your pizza balls, sealed side down, on an oiled pan. 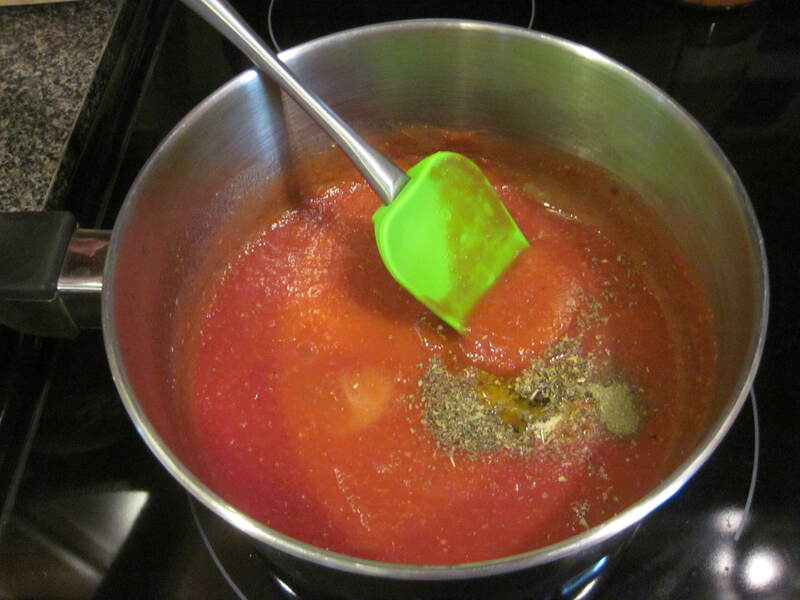 Brush them without olive oil and then sprinkle them with grated parmesan cheese, baking in a preheated oven. The temperature is tricky, because I used a pre made pizza dough. The original recipe called for baking at 425 for 25 minutes, but my dough called for 400 for 18 minutes. I decided to follow the directions on my dough, and to keep them in for a few extra minutes since they were filled. I ended up leaving them in for 21 minutes. They leaked out some of their filling, but they were a nice chewy consistency. 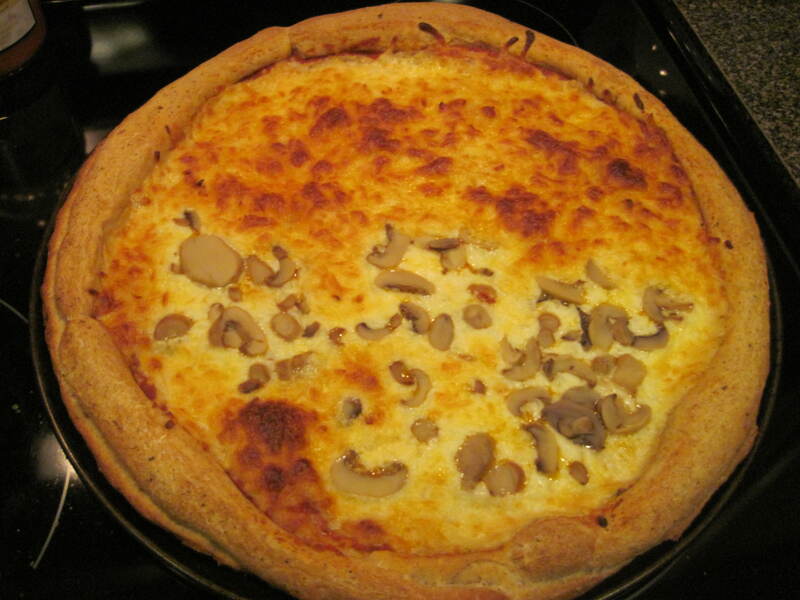 I also made a big pizza (I put the pepperoni and bacon bits under the cheese, and mushrooms on top of the cheese, but only on half, since Christopher doesn’t like them– unless it’s the last piece of pizza, then he’s ok with eating them). 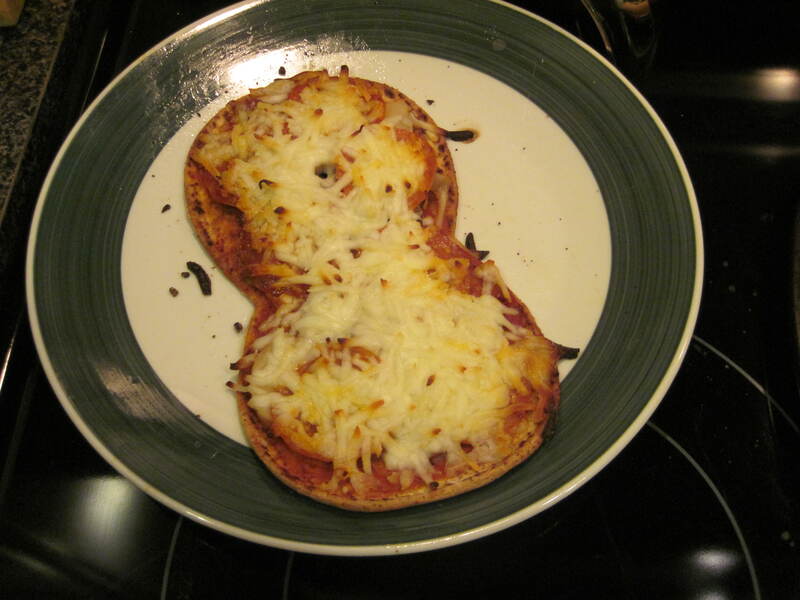 And a personal pizza for me, on lower carb flat bread by Hungry Girl. Well, my kids loved it. But it’s pizza, so I’d expect no less. His Majesty was most excited about the fact that he got to eat a ball. And they both ate nice big meals. I thought that the pizza balls were a success, because not only did my kids eat them, but I also had leftovers to use for lunch the next day. It was ok. It certainly wasn’t bad. It was easy enough to make, don’t get me wrong, but when I use Trader Joe’s pizza sauce, I don’t have to dirty up a saucepan. If it had tasted phenomenally better than the jarred variety, I would be more apt to make it, but to be honest, I just wasn’t wowed, and neither was my husband. However, when I’m buried in our tomato crop, as I hope to be this summer, maybe I’ll make it again, solely because it wouldn’t require a trip to the store, but not because it was so delicious that pizza would never be the same without it. So that was our pizza night. How do you do pizza night at your house? 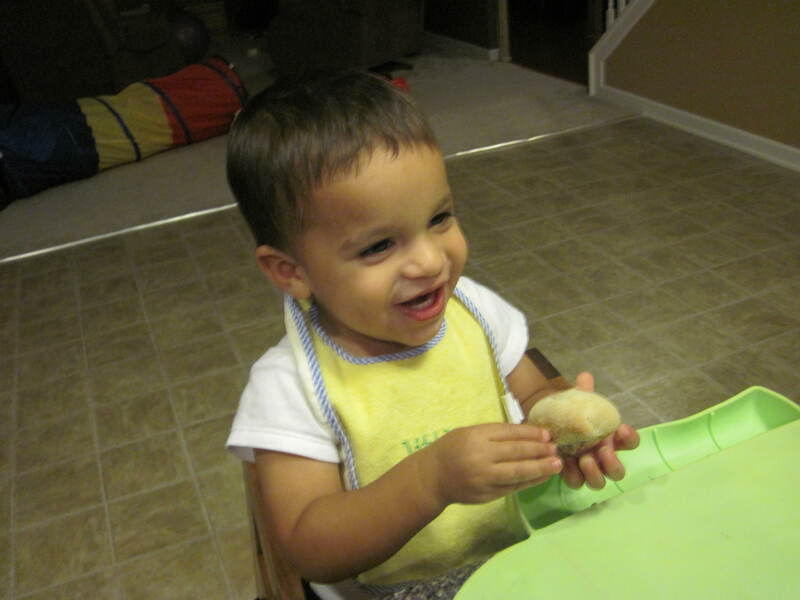 Is it your children’s favorite meal, too? “I just want to make beautiful things, even if nobody cares.” Be inspired. Inspire. Add your own touch and leave a little bit of beautiful you in everything you do. Look at those beautiful nails holding that Splenda. And looks how long Christopher’s hair is! Whaaaaat!?! It looks yummy! We tried a new pizza roll recipe for Super Bowl Sunday and it was a hit too.